The home closing process feels like the home stretch to sellers — you’ve done all the work to get the house ready to sell, marketed it in an attractive way to buyers, and now you’re ready to move. Although there is a lot you’ll have to do if you’re like many sellers before you’re ready to hand over ownership (moving comes to mind), there’s also a lot that needs to happen in the closing process before everything is legally able to transfer to a new owner and you can move on with your life. What should you expect from a typical real estate closing? Every transaction is different, just like every home, but these are the general steps that you can anticipate and plan to move through as you get ready to cash that check and leave the house behind you. Maybe the first offer you got was the best one and you didn’t have to go through much of a process — but maybe there were multiple offers that were relatively equivalent, or maybe you had to drop the price of the home a time or two before getting a nibble. No matter what the scenario, negotiating an offer that both sides consider to be fair is the first thing that needs to happen in the closing process. This sometimes means that you’ll have to issue a counter-offer as the seller because the buyer’s terms weren’t quite to your liking, or it might mean that you have to discern which among several offers is going to be the best one for you. Your real estate agent can help you decide how to handle the offer negotiation. Remember, money is important in a transaction, of course — but it isn’t everything! Some other things that could be negotiable include contingencies, who will pay for any repairs surfaced in the inspection, the closing timeline, and a number of other factors that might matter a little or a lot to you. If there are two offers that are otherwise very close, one of those factors might be the tipping point for you. When both the buyer and the seller agree on the price and the terms, you’re officially under contract. This means that if every other step in the process goes smoothly, this buyer will be the one who purchases your home … and if another offer happens to come in that is a little bit sweeter than the one you accepted, there may be penalties if you back out and try to start the negotiation process anew with a different buyer. The buyer will have to prepare to fork over some money to show that they are serious about the home purchase and to fulfill the terms of the contract, but at this point, you can’t just accept a check and put it into your bank account. The funds will have to go into an escrow account for safekeeping, which is usually managed by the title company. If you haven’t chosen a title company yet, you should talk to your real estate agent about companies they trust; some are more proactive and handle issues better than others, and your agent will have a good idea about which local title companies are responsive and on the ball, and which ones might require prodding to get the basics handled. Ask title companies under consideration about how they handle escrow funds and what precautions they take to prevent wire fraud, which can unfortunately be prevalent in real estate transactions. This will likely land in the buyer’s hands more than yours; the buyer will need to secure a cashier’s check and deposit any earnest money that was agreed upon during the contract period. Until the earnest money is in the account, you as the seller may still have the option to back out of the deal, so hopefully buyers will take seriously the need to get earnest money locked in. The earnest money will stay in the escrow account until the sale is complete, so don’t start shopping with it yet — or putting purchases on a credit card thinking you’ll be able to pay it off shortly. You may have the money in hand within 30 days, but there’s also still a lot that could go wrong, so be patient! Attorneys are required to help oversee real estate transactions in some states, but not in every state. Your agent should have let you know already if you’ll need an attorney, and if you will need one, your agent should also be able to provide some recommendations for a good one. The attorney’s duties will vary according to where you are, but in general, they’ll make sure the contract is in good working order, discuss any necessary disclosures about the home’s history and disclosures with you so you can relay the information to the buyer, and other legal duties as needed. Even if your state doesn’t require you to hire an attorney, it still might be something you want to think about doing just for peace of mind and to ensure your due diligence is in order. Talk to your real estate agent about their recommendations and see what makes the most sense for your situation. You may have already gotten an inspection before you put the house on the market to help showcase its condition to buyers — but unfortunately, the home will still need to be inspected before closing if the buyer is securing a mortgage loan to buy the house. (This is one reason why many sellers prefer to work with all-cash buyers whenever it’s possible.) The mortgage lender will need to make sure that the house doesn’t have any major issues that might render it uninhabitable in the near future and prevent the buyer from paying back the loan. The good news here is that the inspection is more likely to be the buyer’s responsibility than yours; they’ll need to hire and book the inspector. The bad news is that you’re going to have to prepare the house for the inspection and then, most likely, leave the house while the inspection is taking place. And if the inspector finds any issues that really need to be addressed before the transaction closes, you may be responsible for fixing those issues, depending on your contract. What happens if the inspector surfaces a problem and you don’t think it’s legitimate? There should be language in your contract outlining what to do in these circumstances, the most likely outcome being that you will need to hire your own inspector to take a look and determine whether the problem is real. The buyer can also dispute findings. Either way, you don’t want to wind up on the wrong side of a lawsuit a few months down the road because the inspection wasn’t thorough enough and a problem emerges, so take any inspection findings seriously and do your best to resolve them to everyone’s satisfaction (and get documentation to that effect) now to protect yourself later. Most mortgage lenders are also going to require an appraisal in order to approve the loan. The lender, again, wants to protect their best interests and ensure that the collateral backing the mortgage loan — the house itself — is worth at least the amount that the lender is loaning the buyer, if not more. The lender will most likely hire its own appraiser or (less likely) require the buyer to find and hire an appraiser, so this probably isn’t something that the seller will need to be directly involved with apart from giving the appraiser access to the home, but if the appraiser says that the house isn’t actually worth the sales price, this could mean that the buyer’s loan will fall through and the entire contract could be in jeopardy. It’s smart to get familiar with what your options are for disputing the appraisal, if any, and talk to your agent about the best way to go about that if it does become a necessity. Another hoop to jump through in the closing process is the title search and, sometimes, a survey to outline the property boundaries if that hasn’t been done and there have been changes to neighboring homes or the surrounding environment. The title search looks for any previous claims or additional liens on the property and is designed to protect the buyer. If you happen to have a recent survey or you can provide any documentation that will help with the title search, it could help speed along the process to provide that information to the title company. Again, as the seller, this is a part of the process that has little or nothing to do with you, but there is a possibility that the title might request the most recent survey, and if you’ve had one done and can offer it up, it could save everyone some time. The contract you signed with the buyer will likely have some contingencies attached — for example, if there are major issues uncovered in the inspection, they should be addressed before closing, or if the appraisal comes in under the home’s price, you’ll have to renegotiate the home’s price. 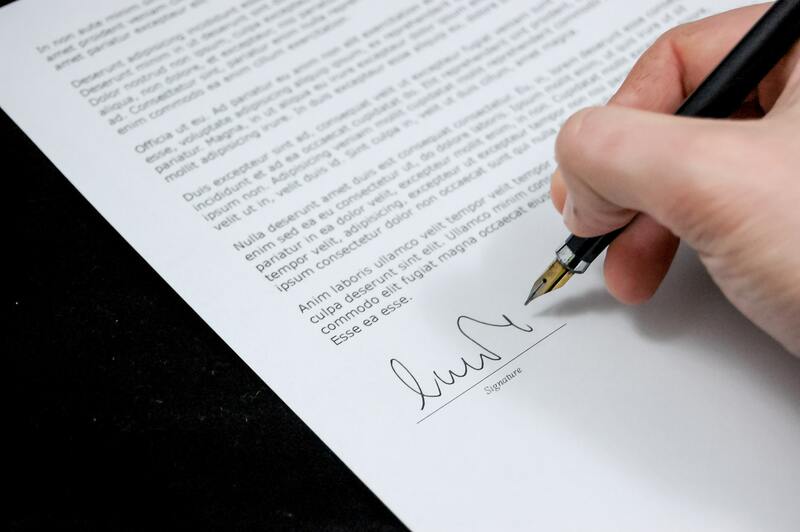 Before you can sign everything over, you’ll have to make sure those contingencies are taken care of and there’s nothing that could come back to haunt you. Talk to your agent and keep apprised of what is happening in the home’s closing process so that you know which contingencies might still be outstanding and can get ready to clean up any messes before they snag the home sale. While you’ve been waiting for the home to close (and packing up your house in the meantime), the buyer has been busy getting all of the mortgage ducks in a row for closing. If the buyer was pre-approved for the loan (as opposed to pre-qualified), then there aren’t likely to be many or any major problems and the loan will most likely be approved, but bear in mind that it is possible for the home sale to implode if there are any problems with the buyer’s loan. Without a loan, the buyer doesn’t have the money to pay for the house, and that’s definitely going to be a problem for you as the seller! One part of the home closing process for buyers is the Closing Disclosure, a document that the lender provides that outlines the buyer’s financial responsibilities in plain language. The buyer should receive the Closing Disclosure three days or more before the home actually closes, and if there are any surprises in the Closing Disclosure, then it’s possible the buyer could back out of the sale at the 11th hour. There are a number of entities contributing to the sale of the home that will need to be paid at closing, including the title company, and fees that have to be handled, such as transfer tax fees. The contract should outline who is responsible for closing costs, whether it’s the buyer or seller or a combination of the two. If it’s the buyer, then it’s the buyer’s responsibility to secure those funds and bring them to the closing when it happens; as the seller, closing costs will most likely be taken out of the amount you receive from the purchase, just like the agents’ commission and any outstanding balance remaining on your own mortgage loan. Unlike the buyer, you won’t have to bring a cashier’s check or other payment option to the closing table if closing costs are being tackled by the seller — but you should still be aware of who’s paying for what so it doesn’t come as a surprise at the very last minute. Usually one or two days before the closing is scheduled, the buyers will want to walk through the home a final time to make sure everything is in order. At this point, you should have moved all of your personal belongings out of the house and should have tackled any issues found and raised in the inspection process. If the buyer finds that you left behind some (or all) of your possessions and didn’t actually fix that pipe or air duct, then they could have grounds to back out of the sale with no penalties, and you’ll be back to square one — or square zero, really, since other buyers are going to want to know what happened. So take the final walk-through seriously and make sure everything is ready for the new owners. The buyer will have to sign the bulk of the paperwork at the closing table, and you might not even need to go if you don’t want to — you can send a proxy in your place to handle your part of the documentation and hand over the keys, garage door openers, and other points of access to the house. If you want to be there, of course, you can certainly attend; make sure you’re on time and have everything you need (or your proxy does) to close the sale. As the seller, the closing process involves you less than it does the buyer — but there’s still a lot to do and think about before you can transfer ownership of your home and walk away with the check. Talk to your agent to make sure you understand what’s going to happen when, provide any documents you’re asked to hand over, and be available to answer any questions, and you’ll have a relatively stress-free and easy closing process.